Wear your business attire and get Professional Headshots taken by ProPEL in Dana 138. VCEA Tutoring will offer cake and as always, free tutoring in Dana 152. 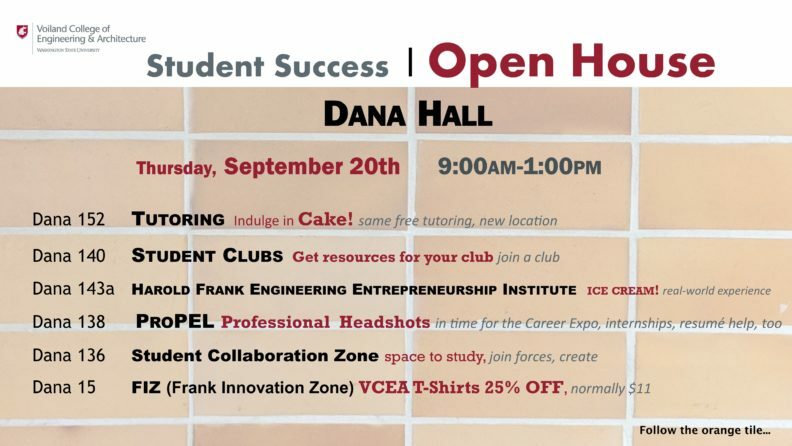 The Harold Frank Engineering Entrepreneurship Institute will serve ice cream and real-world experience in Dana 143a. Get your VCEA t-shirt 25% off at the FIZ in Dana 15.